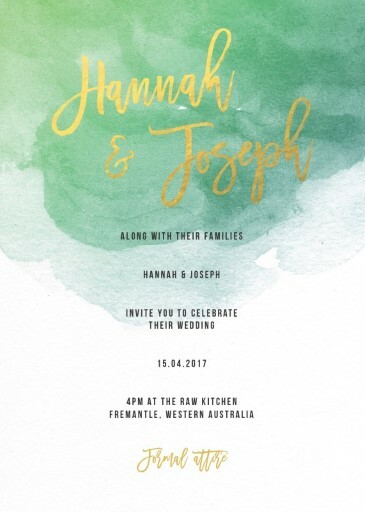 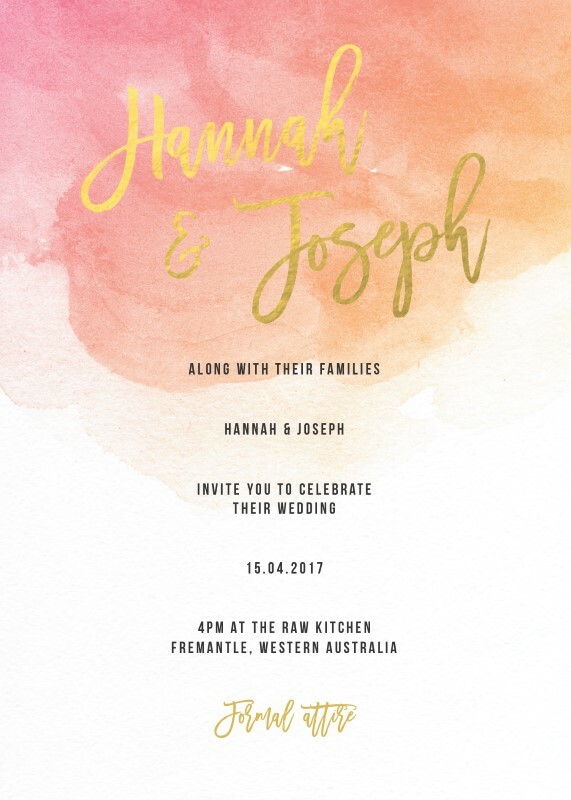 This beautiful Aquarelle collection by Australian designer Owey Cocopoulos is influenced by watercolor with foil will be perfect for wedding invitation. 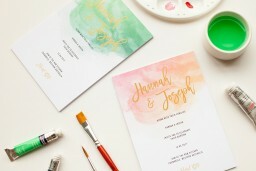 and would be great for those planning a beautiful watercolor styled ceremony. 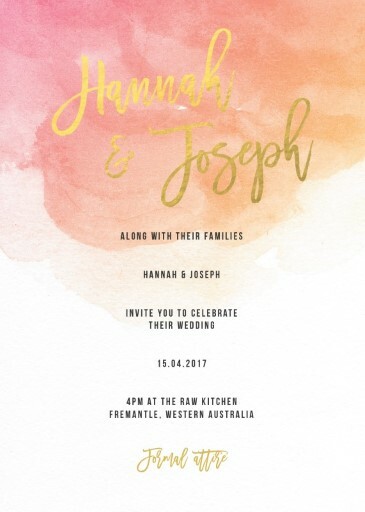 This Invitations card from the stylish design set looks stunning when printed using Digital Printing technique and when it comes to stocks, we think it looks best on Paperlust Linen.